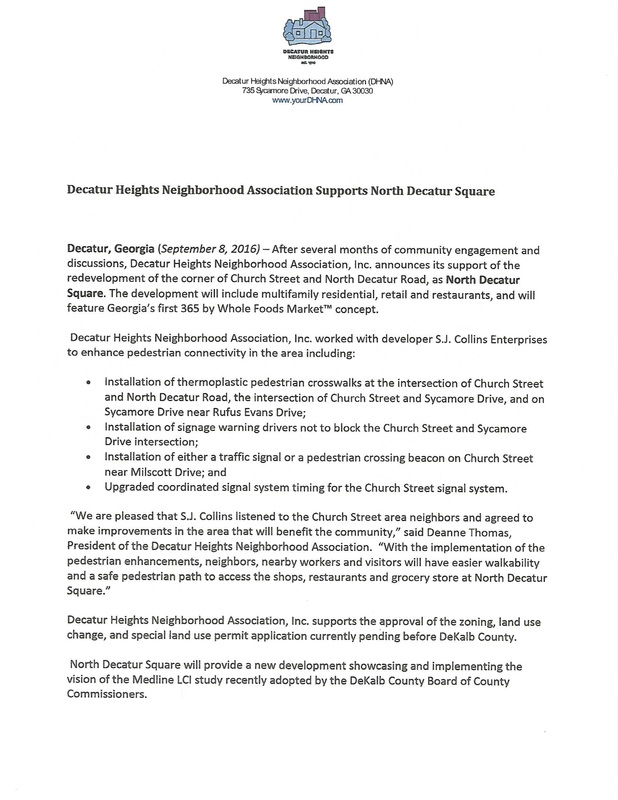 Thank you for your continued engagement with the North Decatur Square development. We were pleased to have received votes of support from the Community Council and the Planning Commission. 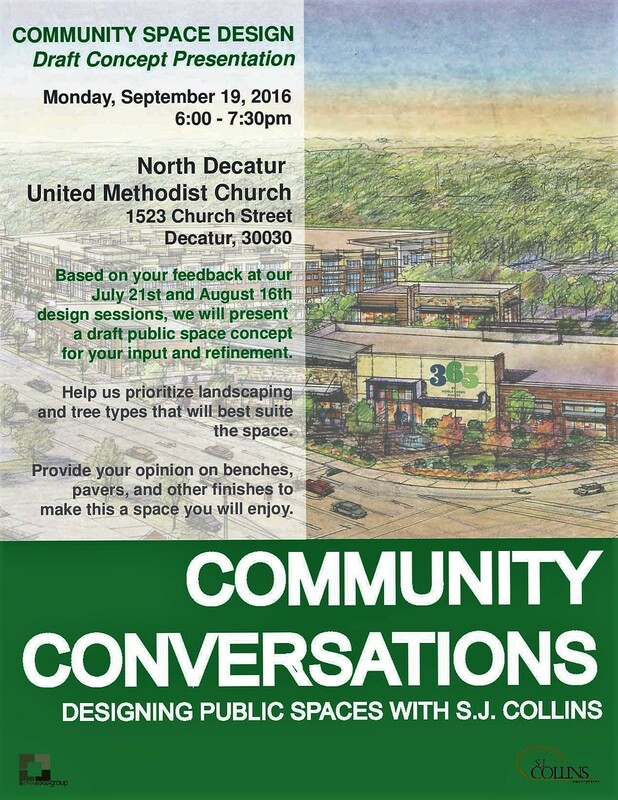 As many of you have attended, the Sizemore Group has been working on community engagement for design concepts for the public space of the development. After the feedback, we are excited to see the design concepts and hope you will join us. The meeting will take place Monday, September 19th at 6:00. We also want to express appreciation to the North Decatur United Methodist Church for graciously allowing us to use the church facilities to meet with you.